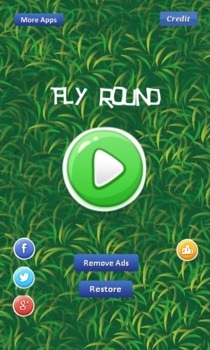 This game's goal is to fly round avoiding eagle. There are three grasses in the center. Our dove fly round through circle. Touch inside or outside circle to move inside or outside circle. But enemy eagles often appear. Dove must avoid eagle. If collide with eagle, one life will be reduced. 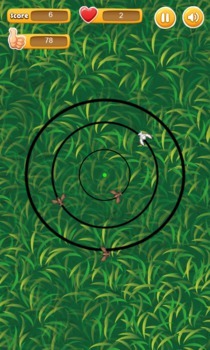 Must move inside or outside the circle to avoid eagle. Help dove ro fly round though circle safely! 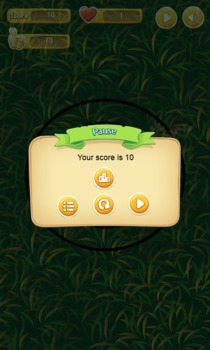 Compare your score with other's in global leaderboard.